Summer Romance STS Blog Train!! It’s that time of the month again!! STS Blog train time!! 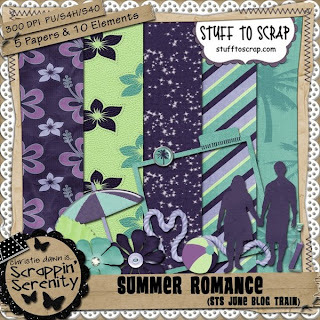 This month’s theme is Summer Romance! Did you know that you too can be part of the train?! 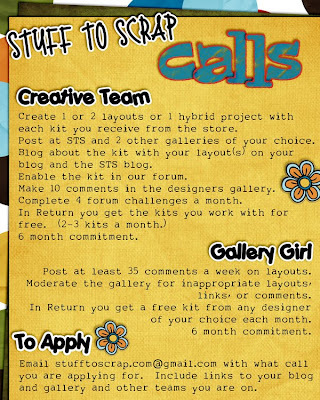 Whether you’re a seasoned designer or a newbie you can jump on board with us! 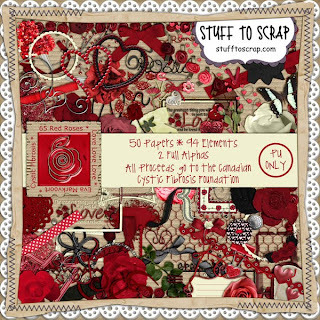 Just Click Here to go to the blog train section of the forum! 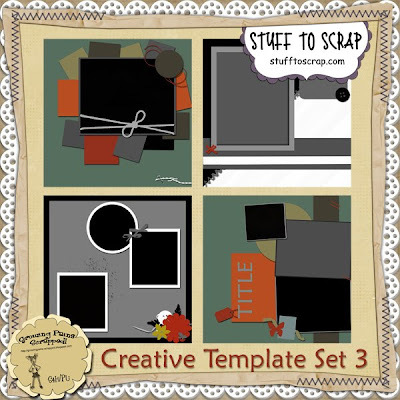 This entry was posted in Uncategorized on May 31, 2010 by christiedawn. This beautiful kit is both Elegant and Fun, Vibrant and Beautiful just like the woman it was made to honour. Eva Markvoort was the subject of a documentary called 65 Red Roses which chronicaled her battle with her genetic disease, Cystic Fibrosis. Eva loved the colour red and was well known for wearing the vibrant shade in her hair. 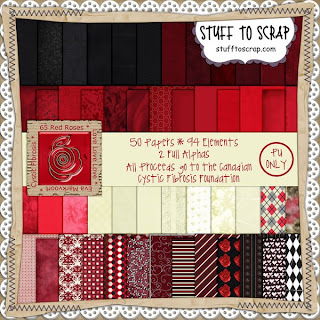 Every cent of the proceeds from this kit goes to the Canadian Cystic Fibrosis Foundation to keep fighting to find a cure. Send an email to stufftoscrap.com@gmail.com if interested!!! This entry was posted in Uncategorized on May 29, 2010 by christiedawn. 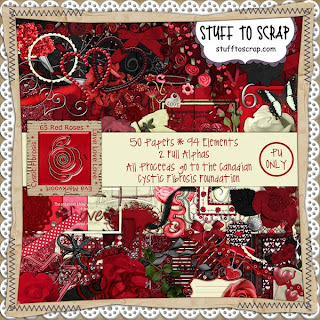 Saturday Speed Scrap @ STS! There’s a Speed Scrap at STS on Saturday and Growing Pains Scrapped is hosting it! Check out the flyer below for more info…the Participation Prize preview is below the flyer! This entry was posted in Uncategorized on May 28, 2010 by christiedawn. 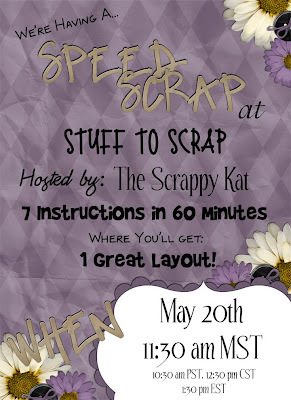 Mark the date & time on your calendar, as tomorrow The Scrappy Kat is hosting a speed scrap in the STS forum. The participation prize for the SS is part 1 of a 2 part kit. 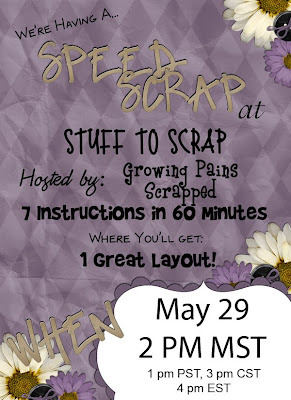 Part 2 of the kit will be the participation prize for a speed scrap she is hosting on June 2nd. 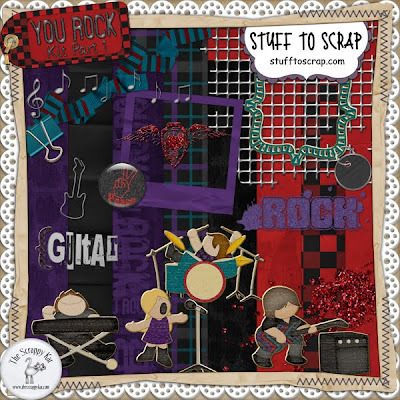 Attend both speed scraps and get both minis that will combine to make a full-size kit called You Rock. This is part 1 of the kit that will be the participation prize for Thursday’s SS. 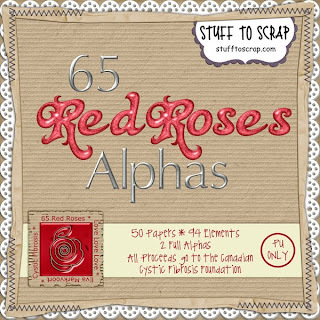 This entry was posted in Uncategorized on May 19, 2010 by christiedawn.